Bill was born April 22, 1927, the son of Martin E. and Flossie M. Richards of Westville. He was a W.W.II Veteran, worked over 40 years at Chuckles Candy Factory in Danville. 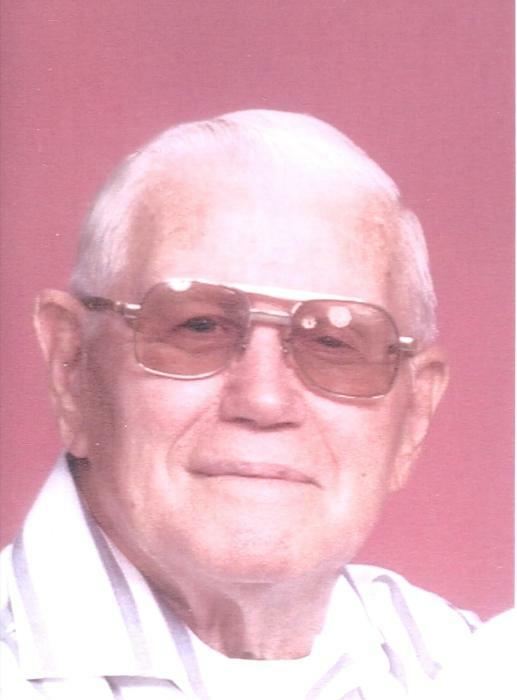 He enjoyed fishing and spending time with his family and grand children. Bill married Deloris M. (Kearney) Richards on October 24, 1950 in Covington, IN, she survives. Others survivors include his daughter Lori (Vince) Homoky and daughter-in-law Ligia F. Richards. Grandchildren: Sasha Richards, William (Brittany) Richards, Alana Richards – all of North Carolina; Lisa Marie (Michael) Hoit of Easy Lynn, Brittany (Jeremiah) Rohwedder of St. Louis, Amber (Derek) Hahn of Oakwood; Step-Granddaughters: Patty Homoky, Kimmy Homoky and Heather Gietl of Camby, IN; and 5 great-granddaughters and 5 great-grandsons. Bill was preceded in death by his parents, a son Major William Isaac Richards. In lieu of flowers, donations may be made to an organization of the donors choice. Messages and memories may be left on our website at www.papefuneral.com, or on the Kruger-Coan-Pape Funeral Home Facebook page.